No one seems to know why they have these really small doors all over the EEOB (the Eisenhower Executive Office Building where most of the White House offices are located). Left to my own devices yesterday, I decided that it must be where they keep the Oompah Loompas who actually run the place. When I got back from the White House on Monday night, I went on a mission to try to figure out why these tiny doors (only five feet tall) exist. I googled until my eyes crossed, but came up frustratingly dry. I called the White House Visitor’s Center. They didn’t know. I tried the White House Preservation Society. They didn’t know. Hell, I even called the White House. And they didn’t know. And they’re like, ya know, there. No one seemed to know. But I wasn’t giving up. And as per my recent pledge to seek help from the community, I decided to reach out and ask for it. I made the mistake of asking my friend Rachel. (For the record, she’s the one who took the picture above.) I told her that her mission, should she choose to accept it, was to find out why on God’s green earth there are five foot tall doors in the EEOB. Rachel is a military spouse. And an autism mom. Not exactly the type to shrink from a challenge. Her: Chimney access. http://georgewbush-whitehouse.archives.gov/history/eeobtour/ What do I win? Me: Dude, are you making this up? I looked at this website yesterday and found nothing. Chimney access? Her: Yes. Chimney access. Not Oompah Loompas. Sorry. Me: I need proof. I’m not buying your story. Where on this website did you find anything about chimney access? Her: I didn’t. I used my brain. And as if to make the point that military autism moms ain’t to be trifled with, she attached a photo. Okay, now I’m not going to be able to focus until we find out. The Truth is Out there. Where’s Fox Mulder? Love you, Girl. What you do to raise up our military families is nothing short of phenomenal. And fantastical. As in fantasy. 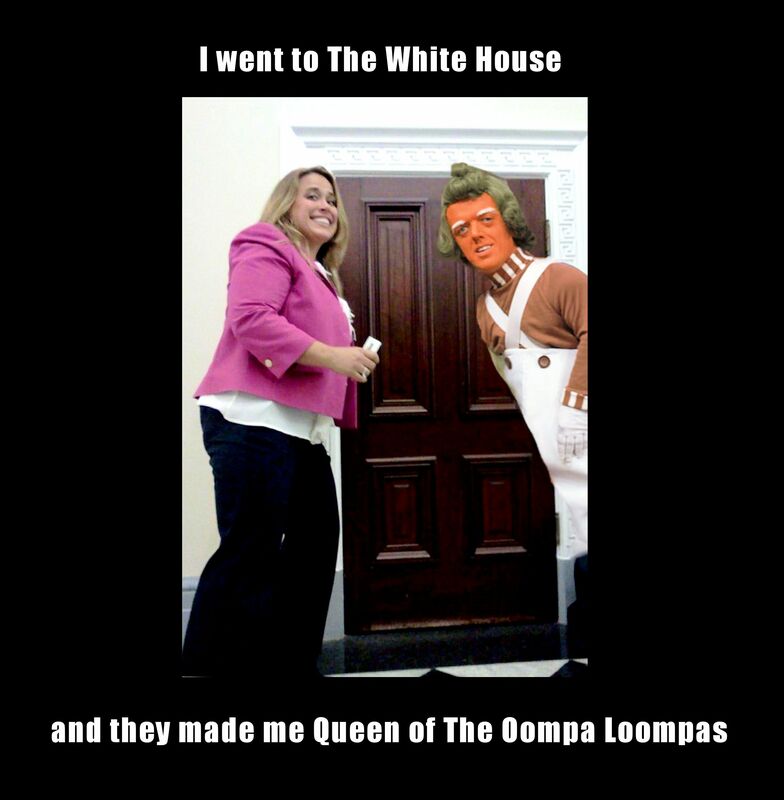 As in Oompah Loompas. Chimney access. You know it. I’m out the door right now or I’d do the research, but while researching this remember EEOB used to be OEOB. The name change was like 8 years ago or so. So look under OEOB which stands for Old Executive Office Building. Good luck. jess sized doors! you were destined to go there! very excited to hear about all of this, looking forward to more details…and pictures of tiny doors. The doors open outwards, suggesting a closet rather than a room. We have a short door with a low doorknob on a closet under our stairs. When you stoop down to reach the knob it reminds you of the low head clearance. Open one next time? Open it…good idea! I gotta believe she gave the door a little rattle. Not sure I’d brave it, though, so maybe not. I imagined it like the door in the movie “Being John Malkovich” on floor 71/2 except you get to enter the head of someone in the White House. Too funny!! Thanks for the giggle!! Love that! And I love the fact that he as tall as you, lol! Laughing to hard right now…. To clarify (because I cannot resist the challenge), when I say ‘chimney access’ more specifically, it would be where the coal-burning furnaces were kept (adjacent to the chimney for exhaust) that heated the building. So the doors were necessary for the Oompah Loompahs to run the behind-the-scenes show back in the day. 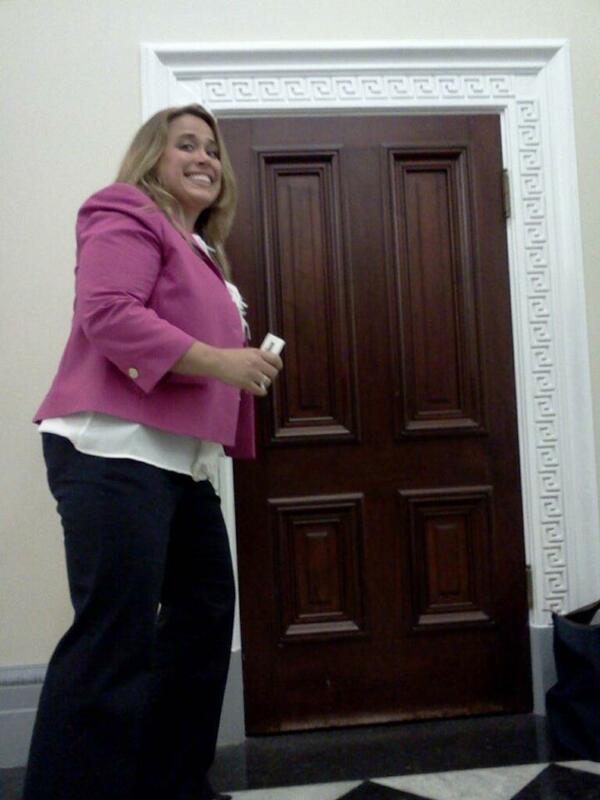 Do you think this picture of you next to a tiny door somehow makes me forget about the picture with Sunday and Stimey? Ya know? I think I may’ve NEEDED that laugh, so…thanks. A bunch.